What’s a QR code and why should I care? Quick response (QR) codes are a not-so-new type of barcode found on print ads, brochures, magazines, and billboards that are designed to be scanned by consumers with smart phones to access digital content. Once scanned, the cell phone delivers the content to the user. That content can include links to videos, photos, downloads, digital coupons, menus, customer feedback forms, cell phone-optimized websites and stores and even text. This ability to directly connect consumers with digital content and to track that traffic is why you should consider using them in your next marketing campaign. I’m convinced, but how do I make a QR code? 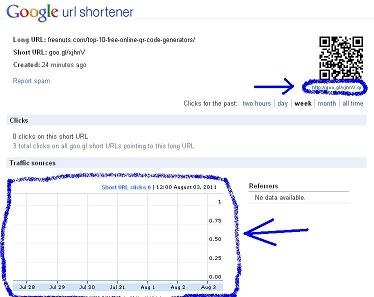 goo.gl – This is Google’s application to shorten hyperlinks, but it now includes a further option to generate a QR code for the shortened URL you just created. All you have to do is click on “details” and you are taken to an analytics page with a link to your new QR code (it is directly below the thumbnail of the QR code). 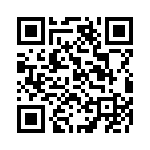 On this same page you can also view the traffic your QR code has generated. Okay, that seems straightforward enough, but what content should my QR code link to? That largely depends on what book you are marketing and the context in which you want your QR code to appear. If you are marketing a cookbook, perhaps a sample recipe with some pictures of the finished dish will whet your readers’ appetites. Or maybe you could include a brief video interview with the book’s author. In the case of eBooks, QR codes can be particularly handy. For example if you are having an author reading, you could set up a QR code that links directly to an ebookstore so that attendees could purchase the book with their smartphones. The possibilities are many, but in the end you have to deliver engaging content that your audience will enjoy. There is also room to have fun with QR codes. Check out these inspiring and playful QR code designs.